So Last Weekend I Was Sort Of Missing In Action Here At IHeart-Motherhood, Wanna Know Why? 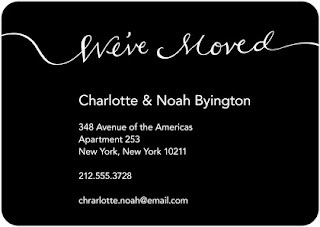 We Moved! We Bought Our First Home & Moved In Over The Weekend! So Excited! So We've Been In Our New Home For Just A Few Days But I Was Eager To Get To Work Cleaning & Re-Painting, Getting Ready To Show Off Our New Home To Everyone! I Wanted To Send An Official Announcement To My Family & Friends That We Had Moved Homes As Well As Inviting Everyone To A House Party! So I Went To The First Website That Popped Into My Head When I Thought About Creating My Moving Announcement-Tiny Prints! Tiny Prints Has A Huge Selection Of Invitations, Announcements, Stationary, Photo Books & More! From Planning A Baby Shower To Your Teen's Graduation, Tiny Prints Has Colors & Styles You Will Love At A Price You Can Afford! I Was Able To Customize My Moving Announcement, Choose Options Like Rounded Cards Or Square As Well As The Amount I Would Be Needing. It Took Me Seconds To Get To Check Out & You Can Have A Professional Designer Review Your Order Before It Ships To You! So Nice To Have No Worries! So What Are You Waiting For? What Announcement Or Invitation Will You Choose For Your Next Event? Connect With Tiny Prints On Facebook & Twitter! Wish i had these when we moved this past year they are beautiful!